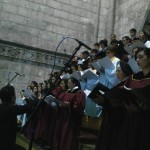 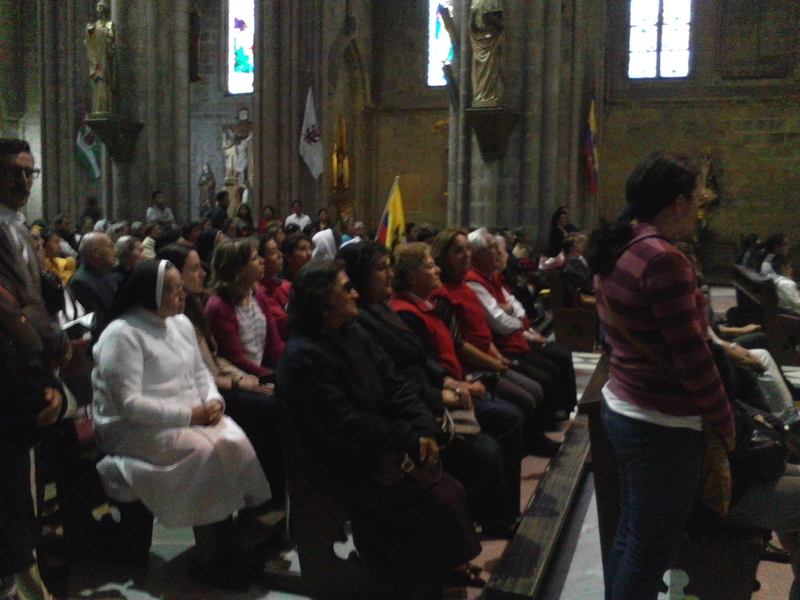 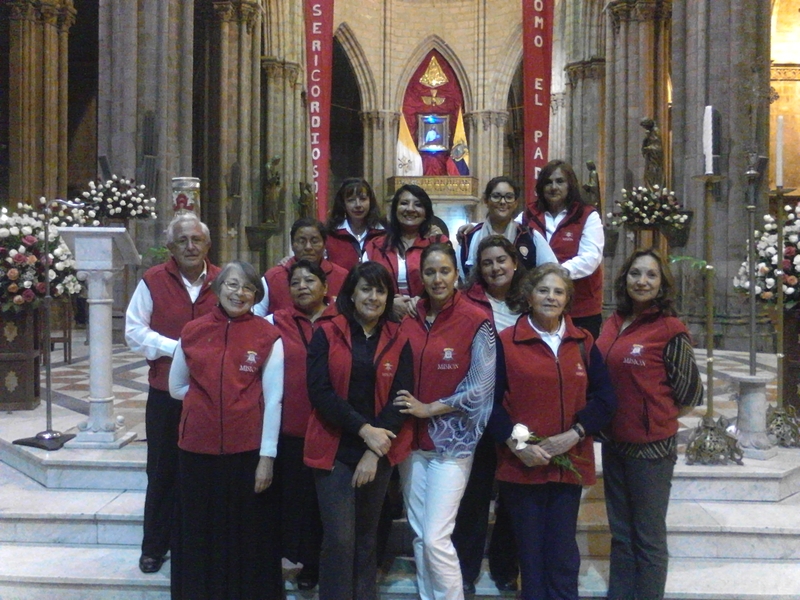 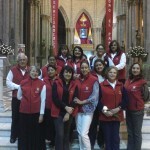 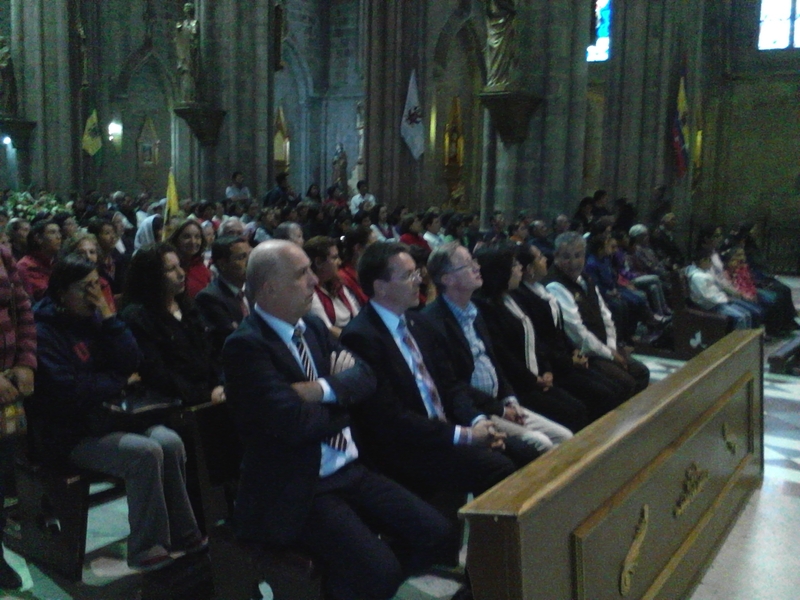 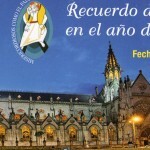 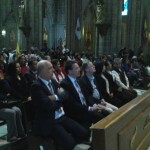 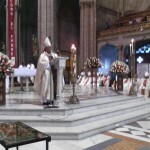 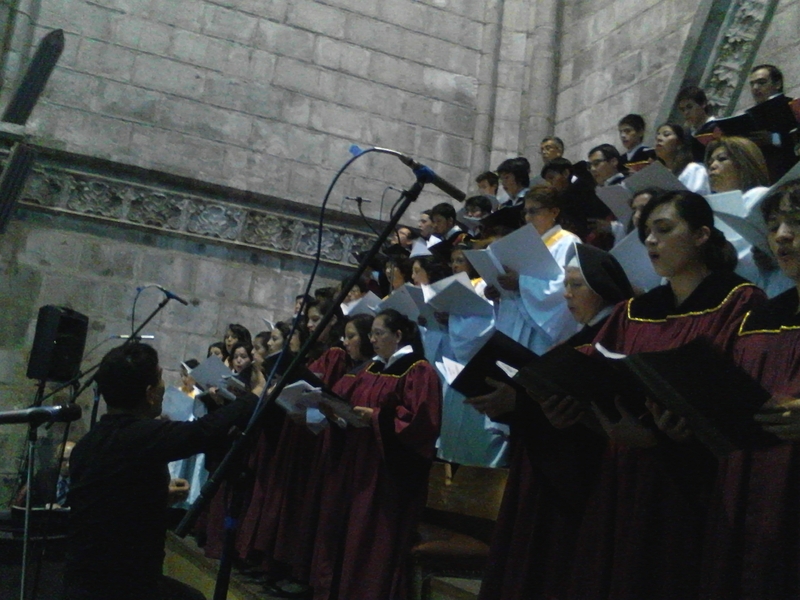 The Ecuadorian Episcopal Conference invited all the Catholic faithful to the Great Patriot Jubilee of Mercy and the Celebration of the Eucharist of petition and thanksgiving to God for our country, which was held on Thursday, April 7th at 17 h 00 at the Basilica of Voto Nacional. 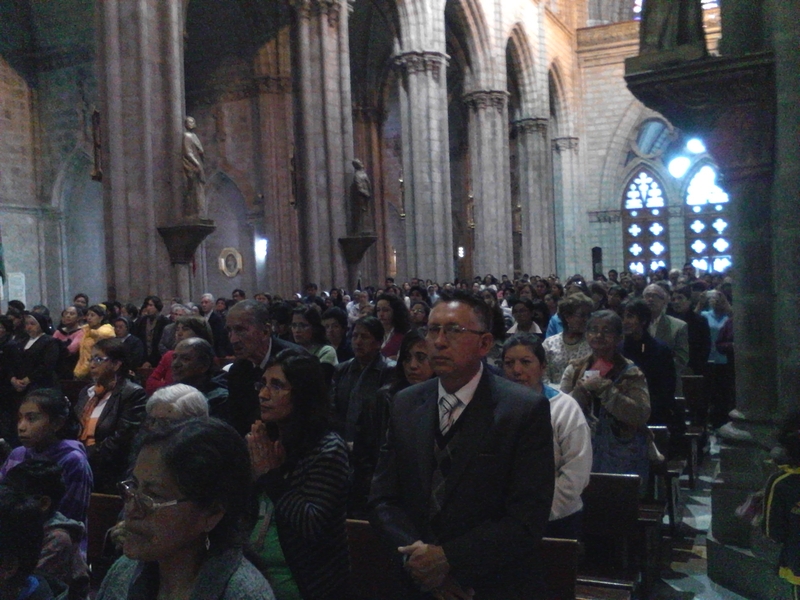 All the parishes of our Archdiocese, Catholic educational establishments, movements and social works were invited to participate in this celebration together with the Bishops of our country. 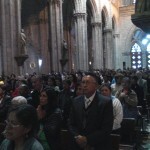 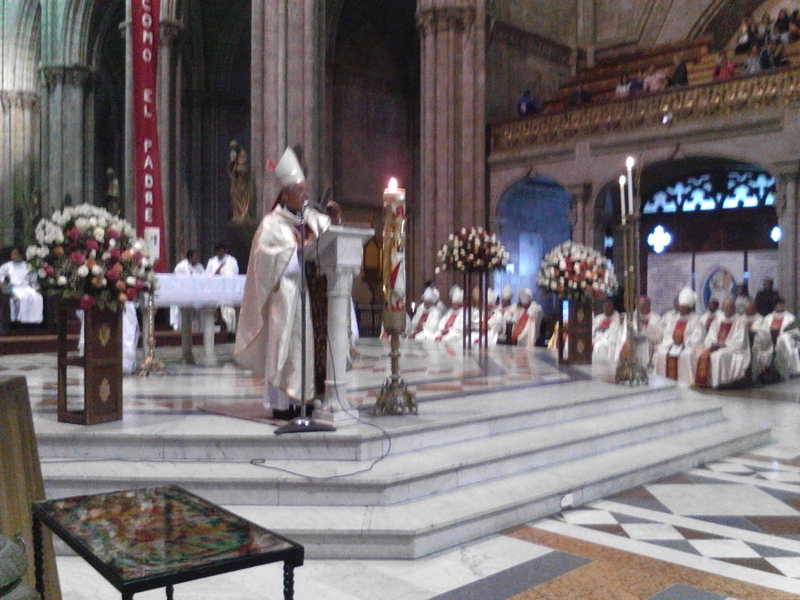 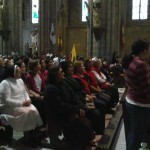 Presided by Monsignor Fausto Trávez, Archbishop of Quito; Primate of the Ecuador and President of the Episcopal Conference, who visibly touched, reminded the attendees that Ecuador was and is blessed by being the first country consecrated to the Sacred Heart of Jesus and the Immaculate Heart of Mary, and Monsignor René Coba, military Bishop, read the renewal of this consecration. 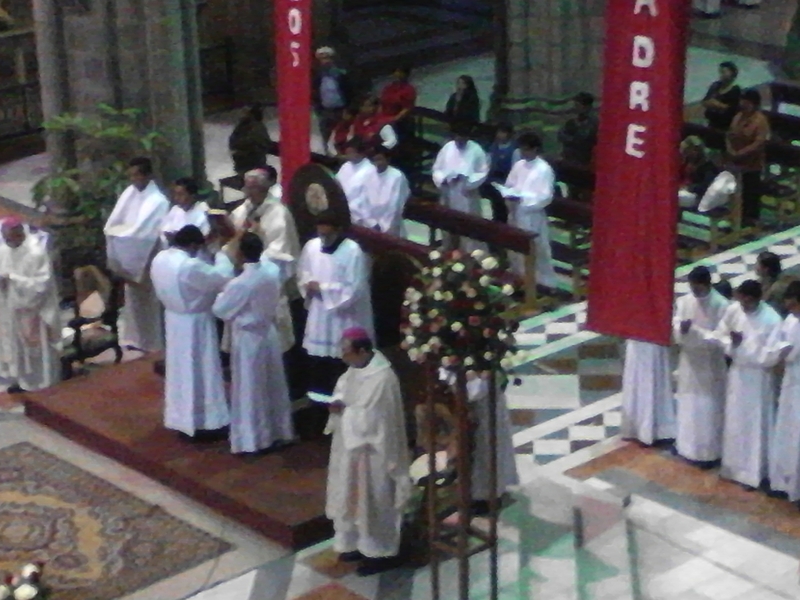 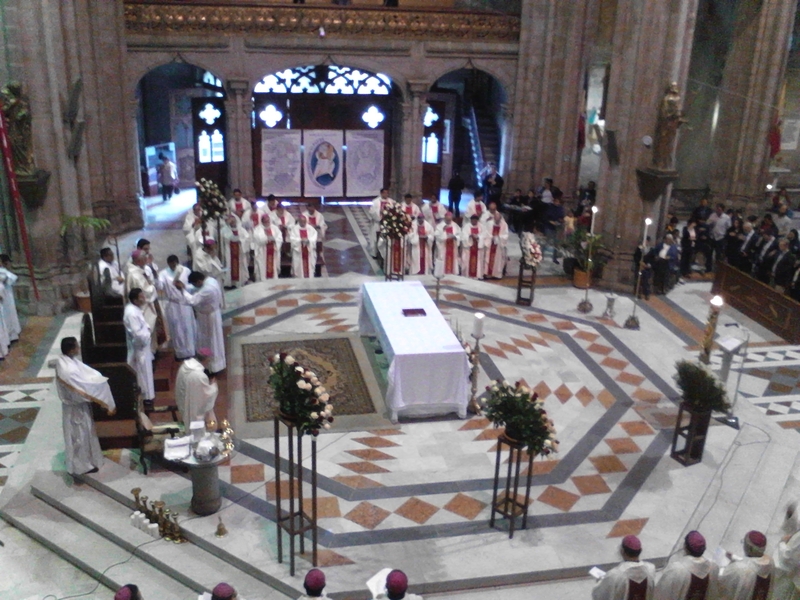 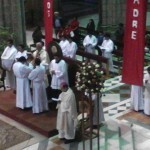 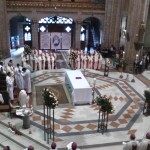 The Apostolic Nuncio Monsignor Giacomo Ottonello Pastorino, concelebrated and who along with the presence of many bishops and priests added solemnity to this important celebration in Ecuador.